A literary piece can strike a chord within us because of the ideas they express and feelings they evoke. Literature reflects how people think, feel, and act. A literary piece can strike a chord within us because of the ideas they express and feelings they evoke. Although their texts can be physically seen as one flips pages of a book or scans a short piece, the meaning behind the words come alive in every reader’s imagination. John Bouley’s “The Changing Tides” is an example of turning life into a work of art. His compilation of poems and short stories is meant to take readers through a life journey from another perspective. Since a person cannot just morph into someone else, Bouley’s book allows anyone to step into his shoes and understand his viewpoints on daily living. Bouley takes common human experiences and emotions and transforms them into poems and short stories. His book covers many relatable topics—romance, faith, peace, and life’s struggles, to name a few. He even goes on to share his reflections on Mother Nature, the ascent of technology, and his take on the ever-changing times. Many readers may see the book’s relatable pieces as life guides as they go about their day-to-day activities. Life is unpredictable by nature, and they may find Bouley’s insights, gathered from each poem and story, to be useful. “This is a book that will reach your heart and touch your soul,” says Bouley. 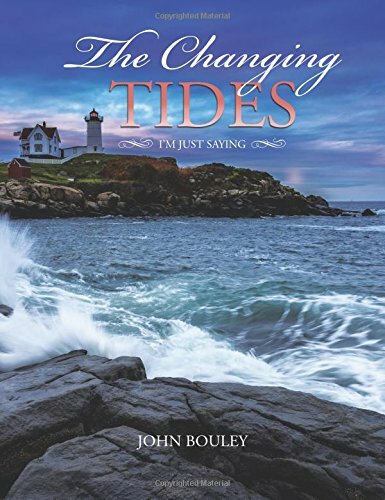 Through its emotional pieces, “The Changing Tides” hopes to inspire and enlighten every reader as they live out their lives. Copies of the book are available in selected online retailers. Book copies are available at Amazon, Barnes & Noble, and other online book retailers. John Bouley is a native of Marlborough, Massachusetts. For over twenty years, he worked for the Rockport Reebok Company as a supervisor and professional driver. He is currently based in Charleston, South Carolina.